In March 2004, I visited the International Motor Show at Geneva, Switzerland. After the show, I enjoyed Geneva, as every year, trying to see interesting cars on the road. 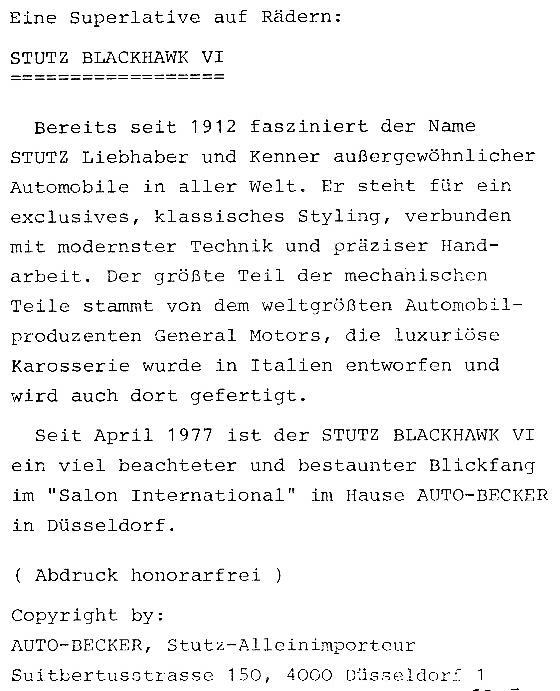 I was surprised to see a former Stutz-dealer, Mr. Helmut "Auto"-Becker. 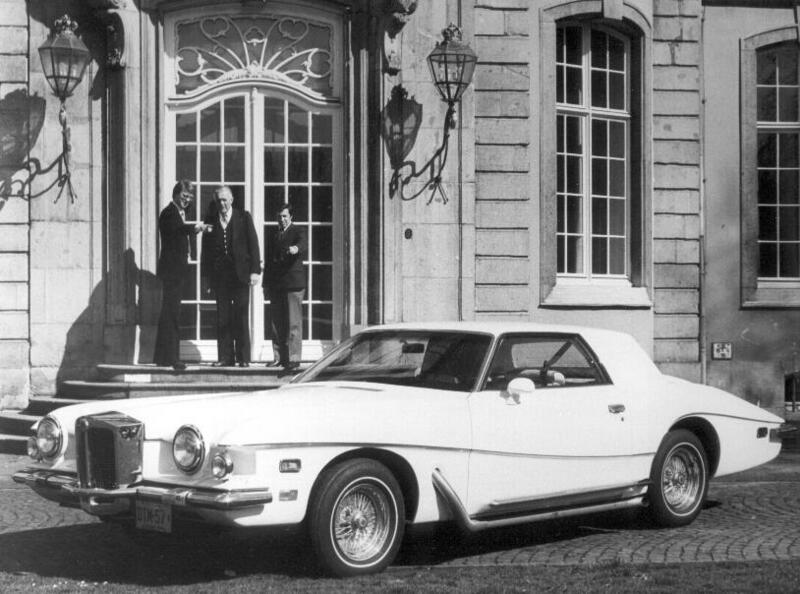 in front of a 1978 Stutz Blackhawk. Years later, I have taken a picture of a Ferrari 288GTO at the same location. The second photo is part of a press-release, published by Auto-Becker. a magazine published by Auto-Becker, the most interesting dealership of Germany at that time. Opel, Lada, Jeep, Cadillac, Chevrolet, Alfa-Romeo, and a lot of other exotic cars. 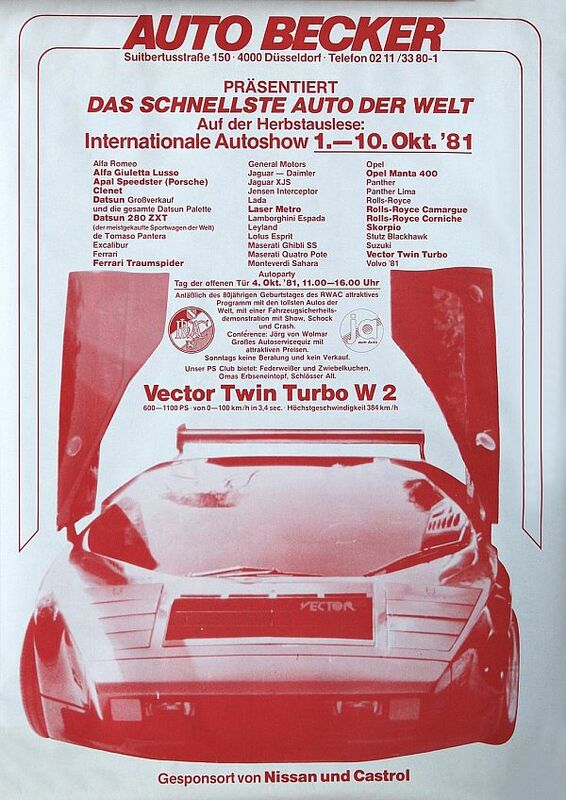 In 2010, a friend (and Vector-fan) run across a poster for a car show at Auto-Becker. 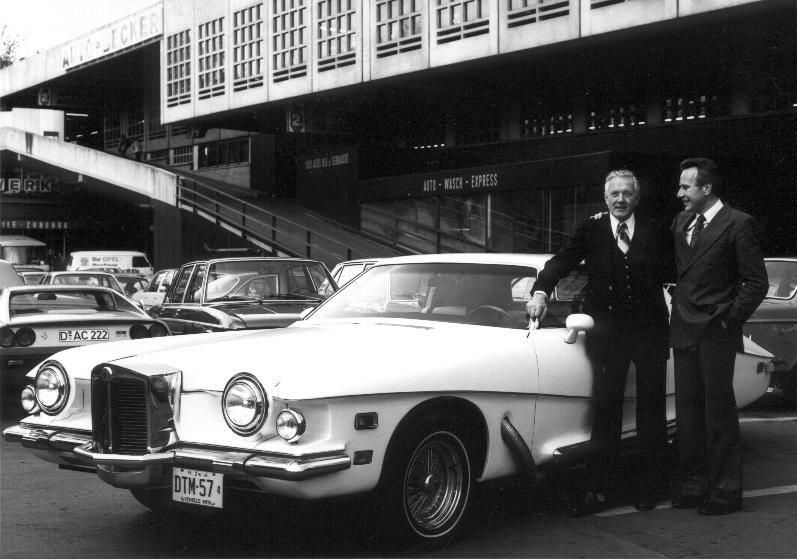 This photo was taken in 1980 at the showroom of Auto-Becker.